Binghamton Zoo at Ross Park in New York has announced the birth of Red Panda twins. The cubs were born at Sunday, June 11. They are the second offspring for mother Mei-Li. One of the cubs was “significantly smaller at birth”. After supplemental feedings, the Animal Care had to decide that the Red Panda needs to be hand-reared. 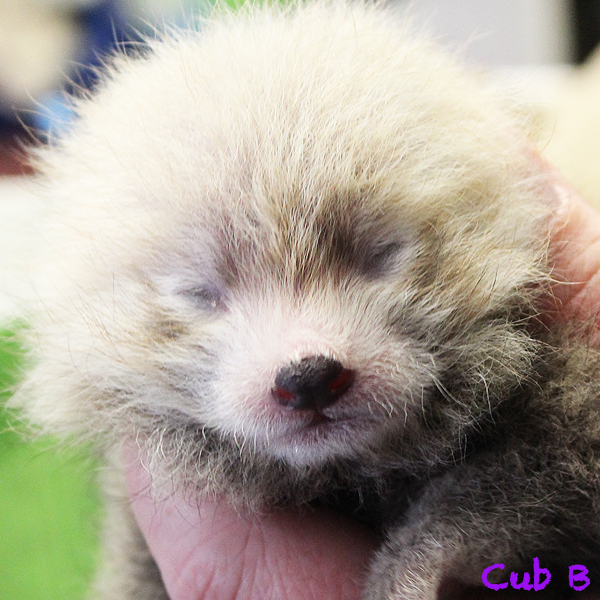 The cub is now gaining weight, but additional health concerns have come to light. 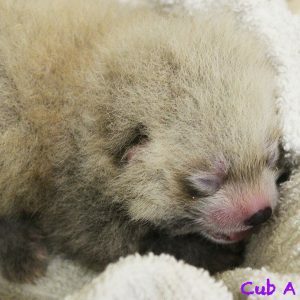 “At this point, staff will be moving forward with the current care plan and will wait for the cub to become healthier before putting it back with Mei-Li”, explains the Binghamton Zoo in a press release. The bigger cub has been with Mei-Li since birth and has grown as expected. The Binghamton Zoo will be hosting a gender reveal party for the Red Panda twins later this month, which will also kick off a naming contest for the cubs. Check out the Red Panda updates at Binghamton Zoo’s website.